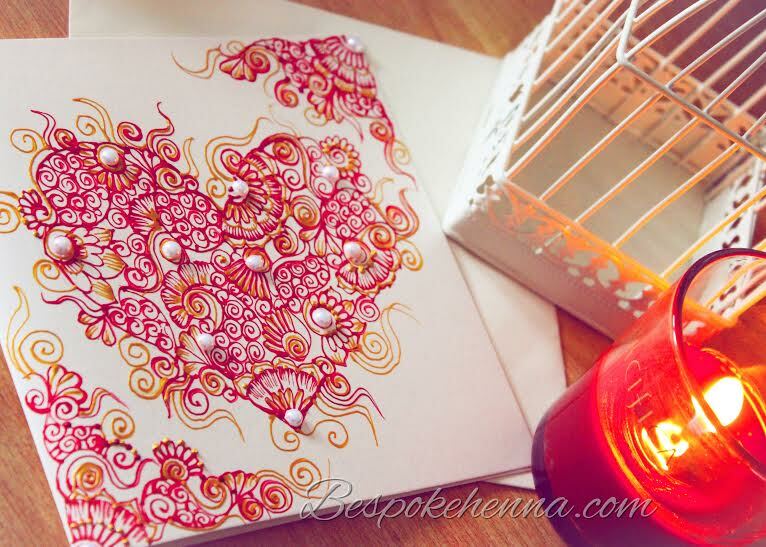 Large greetings card painted with red and gold acrylic paints and embellished with pearl rhinestones. 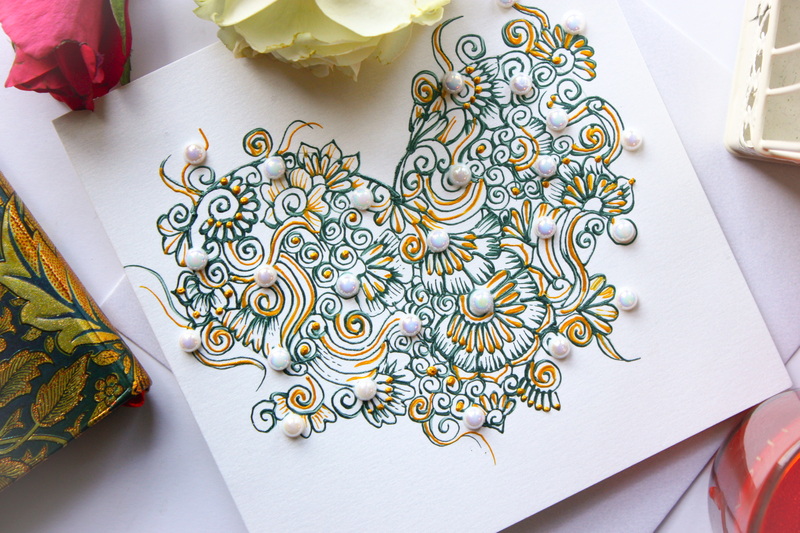 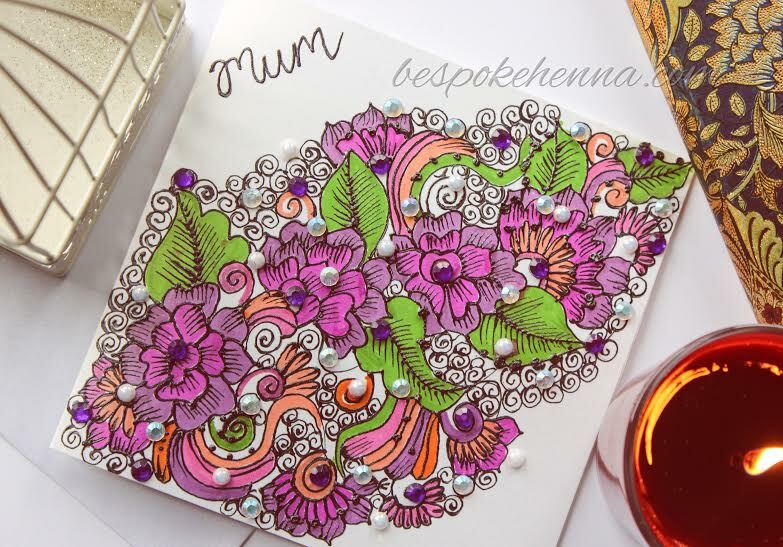 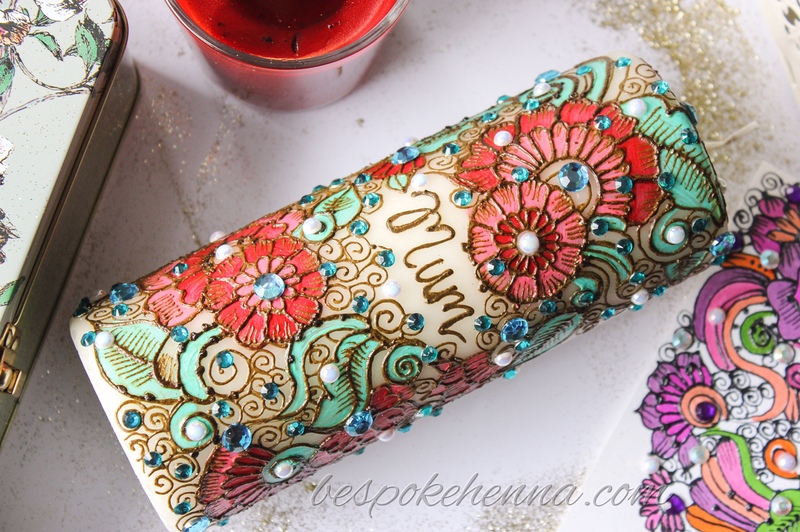 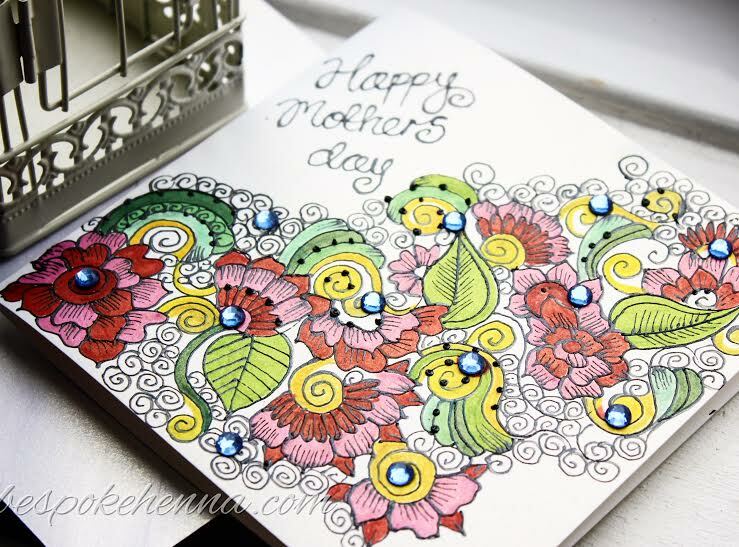 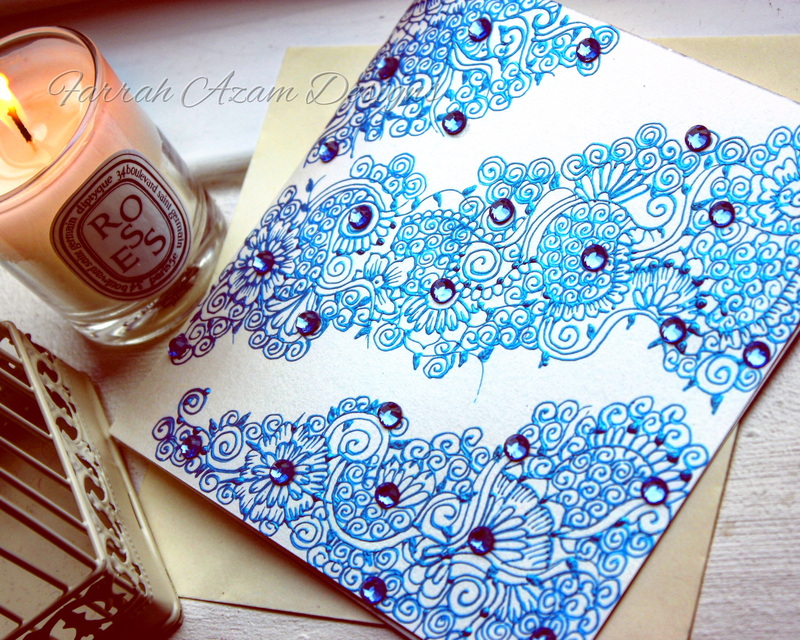 Bespoke Hand-painted and colored greetings card embellished with various rhinestones. 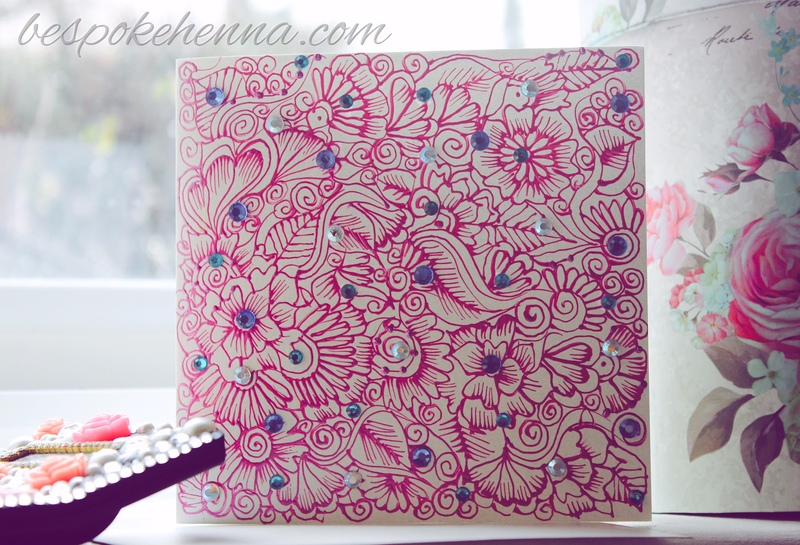 Large greetings card hand painted with metallic pink acrylic paints and embellished with various rhinestones. 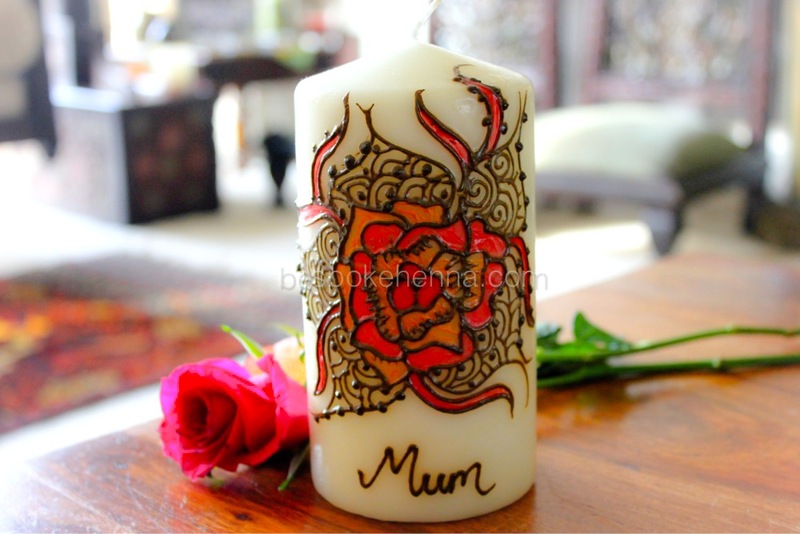 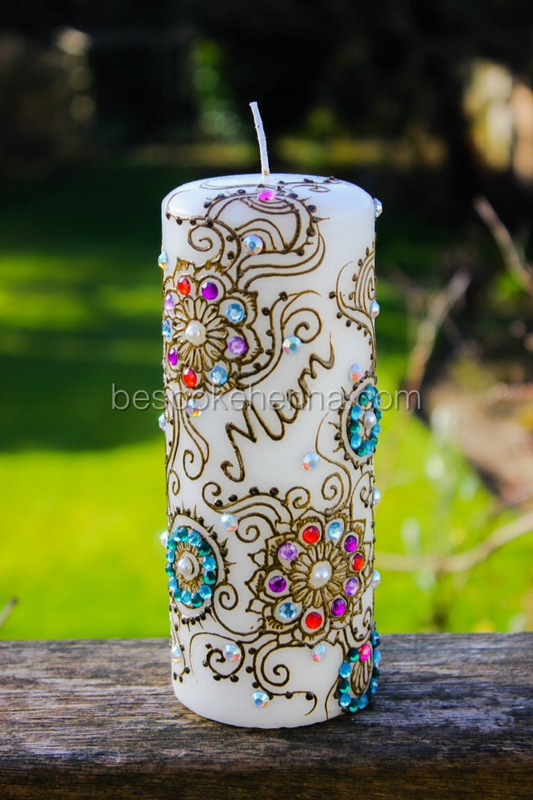 Large pillar candle painted with natural henna and a variety of acrylic paints and finished off with over 100 rhinestones. 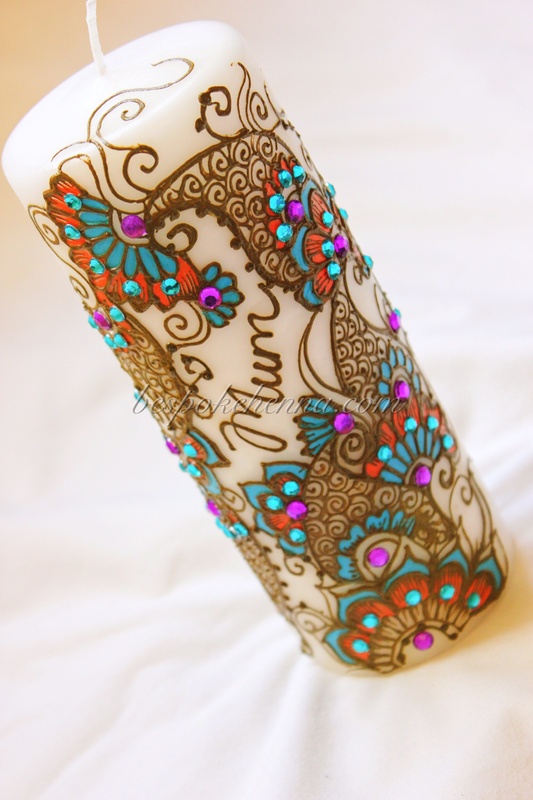 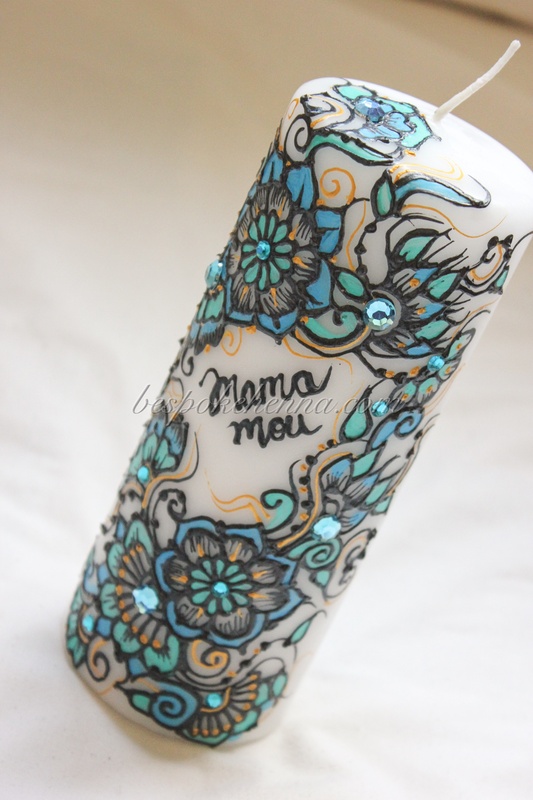 A large pillar candle hand-painted with pearlescent black acrylic paints and filled in with mint green, sky blue and gold. 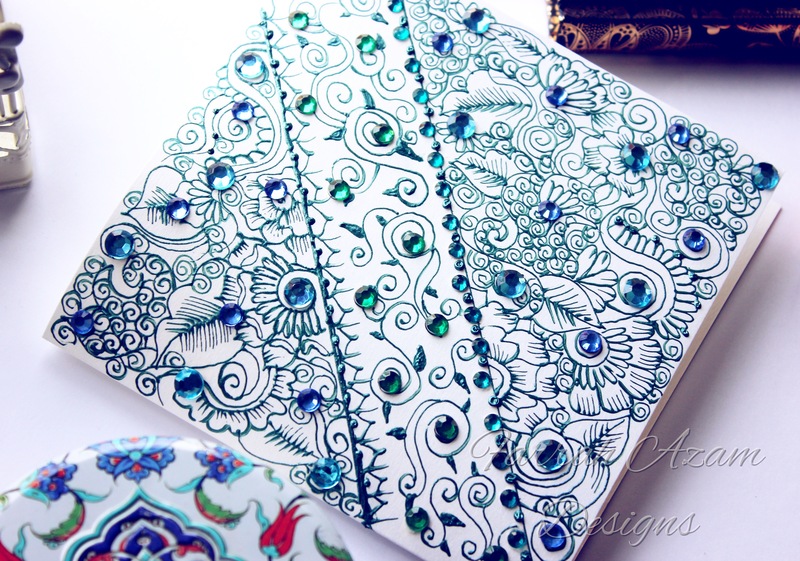 The piece has been finished off with aqua rhinestones.